Having an organized home is achievable. Even if you throw in a life partner and a rambunctious child with a knack for messing up every space he gets into, maintaining a clean and orderly home can still be done. All that you need is the right mindset, sufficient time management, and great ideas. Thankfully, you don’t need a team of expensive and impractical clothes storage experts to get the job done. There a ton of websites dedicated to giving out tips and tricks to making sure that everything in your home is right where it should be. While the list is as complete and as diverse as it can be – the bedroom and the kitchen seem to be the most popular areas of interest – the only downside you might possibly run into is how much ideas you can cram into one living space. Ranging from vague ‘buy-this-and-that’ advice to full-blown tutorials on how to make these storage ideas a reality, there is so much content out there that you might just be overwhelmed by the sheer volume. To help you out, here’s my top three picks of the most applicable and easy to enforce bedroom storage ideas. Having a comfortable bed is almost a necessity for any family. Given the fact that it’s one of the things we spend a lot of our time on, both awake and asleep, usually leads to getting the biggest, baddest, cosiest mattress we can afford! Sadly, this takes up a lot of floor space in the bedroom. Remedy this by creating storage space under your big, bad, comfy bed! You can simply utilize rolling storage units like what’s shown below, or you can go the full Monty by creating a DIY storage bedframe with multiple pullout drawers for maximum effect. If your bed’s too low, consider raising the frame instead of wasting the potential for additional storage. Why stop there? Rolling nighstands are also a great option. Little do we know that our closet might be the most misused storage unit in our bedroom. 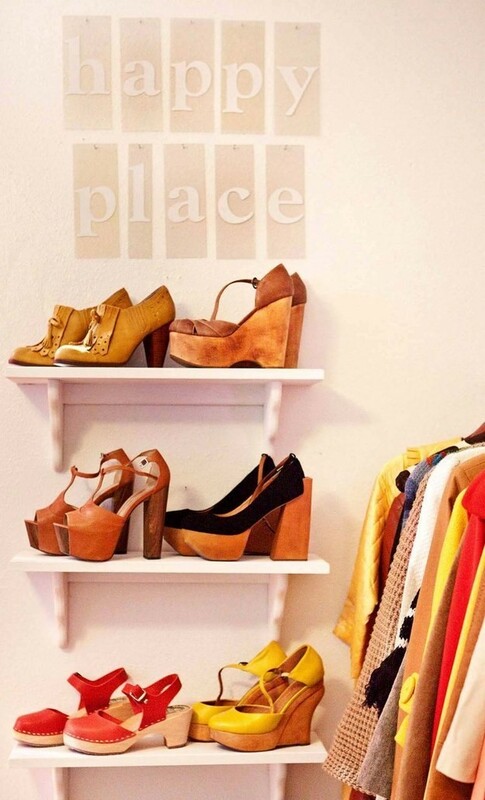 It can be used to store so much more than your clothes. Even the humble dresser can be a multi-purpose container for everything from accessories to random knickknacks that you don’t know where else to put. But since you’ve been storing your closet in the same old-fashioned way your grandma and grandpa have been doing since the Ice Age, your closet looks like it could barely take the workload of your wardrobe let alone anything else. Solve this issue with the addition of a few tasteful closet organizers and by expanding your closet by installing a couple of DIY shelf units. Plus, you get to show off those killer pumps you just got from last season’s clearance sale. Pull a Lego move by fusing two ordinary household items into one. Ordinary curtain shower rings latched on to one of your sturdier hangers can be the storage piece you never knew you needed. 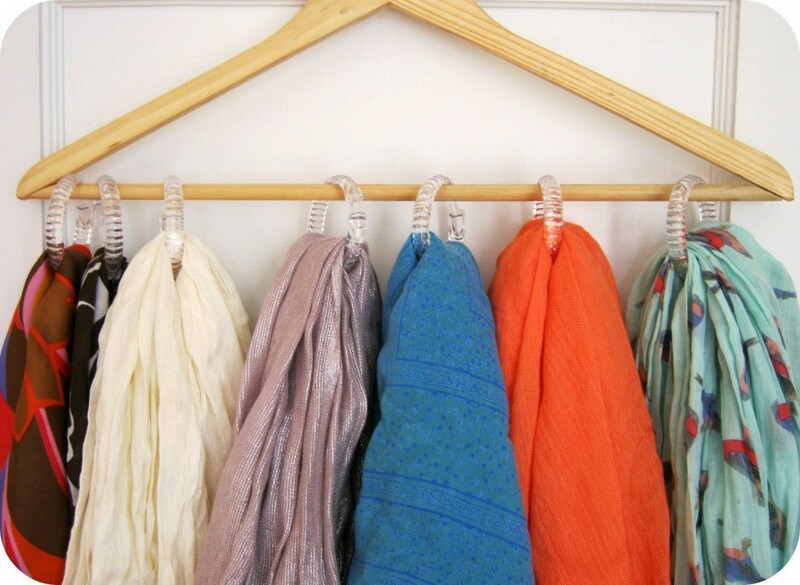 Perfect for hanging accessories like ties and scarves, you can avoid the jumbled mess that comes with attempting to store these items the normal way without going out of your way to buy specialized products. DIY has never been more convenient or more hassle-free! And it’s a free way to add a bit more festivity to your bedroom!